O'Donnellan & Joyce is offering for sale a spacious four bed detached residence located within the much sought after development of Forster Court, Forster Street, Galway. This development comprises a selection of semidetached and detached residences with both private and on-street parking which is reserved for residents only. This quiet and popular residential area enjoys a convenient location ideal for family living. The development is extremely well finished with communal mature landscaped areas with raised flower beds and paved pathways. No 35 Forster Court is perfectly positioned just off Forster Street and College Road and within 500 metres of Eyre Square. This quiet and popular residential area enjoys a convenient location ideal for family living with all of Galway's amenities and services right on its doorstep. 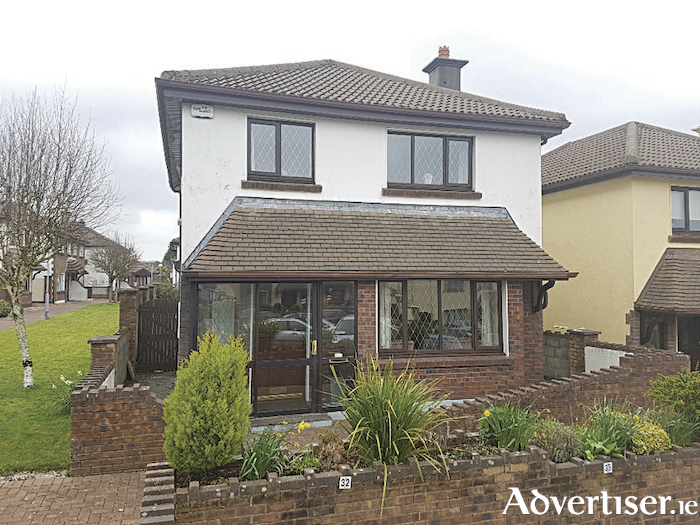 This property is within easy reach of excellent primary and secondary schools including Yeats College, and within five minutes of the main train/bus stations and a host of shops and restaurants. No 35 Forster Court is a spacious home presented in good decorative order, but would benefit from some upgrading and modernisation. The property has a spacious interior with an entrance porch leading into the main entrance hall and a large main sitting room with feature bay window and open fireplace with back boiler. The kitchen is open plan with the dining room. A separate utility room and downstairs toilet completes the accommodation on the ground floor. Upstairs there is a main bathroom and four fine sized double bedrooms with the master offering an en suite bathroom. Outside the property offers a well maintained paved front garden and pathways, landscaped raised flowerbeds, and a large private rear garden with patio and garden shed. There is one allocated parking space with the property to the front, along with additional general parking for residents; two parking permits are allocated on payment of the management fees. In terms of convenience, the development offers all that one would require including ease of access to NUIG, UHG, and a host sporting and recreation facilities just minutes away. This property is perfectly located and is an ideal starter home, holiday home, or gilt edged investment opportunity with excellent rental potential. Viewing is highly recommended and guaranteed not to disappoint. The BER is E1. Asking price is €375,000.